1997 plan Ian Murray, Burns et Dovell, construit chez Jarkan ? avec John Bankart et Jeremy Pearce: 43j 19h 30'!! Sydney-Hobart: DNF/82: "c'était trop dur pour le bateau!" était en tête dans le Détroit de Bass! 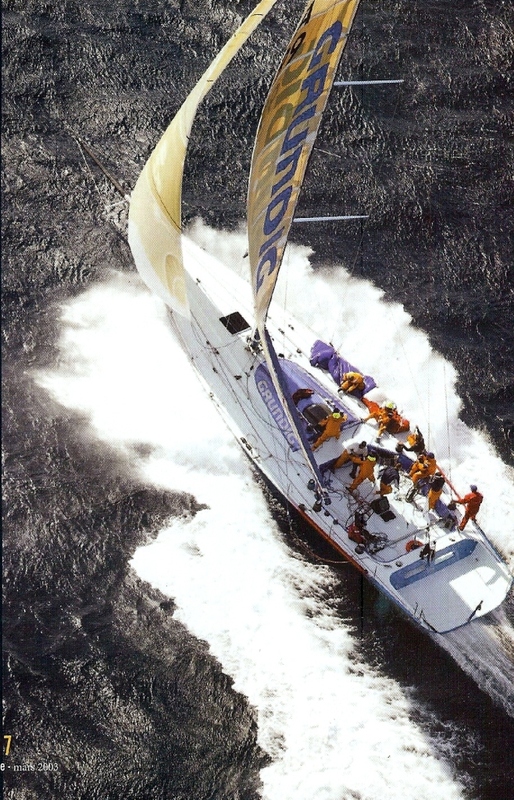 Le monocoque australien Xena est sur le point de tenter le record de la distance parcourue à la voile et en solitaire sur 24 heures. Mai: Sean Langmann envisage de le ralonger de 15 pieds, avec un mat plus grand. A subit de sérieux dommages structurels, doit être réparé à Sydney. 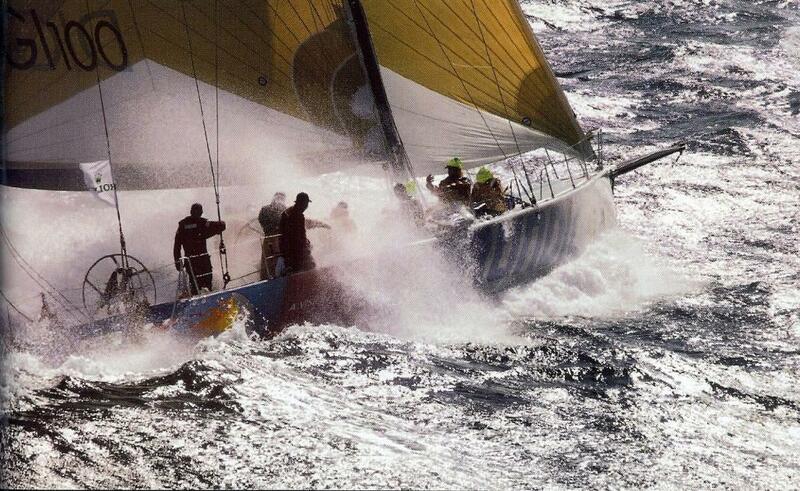 Sydney-Hobart: DNF. le bateau agrandi à 66 pieds! 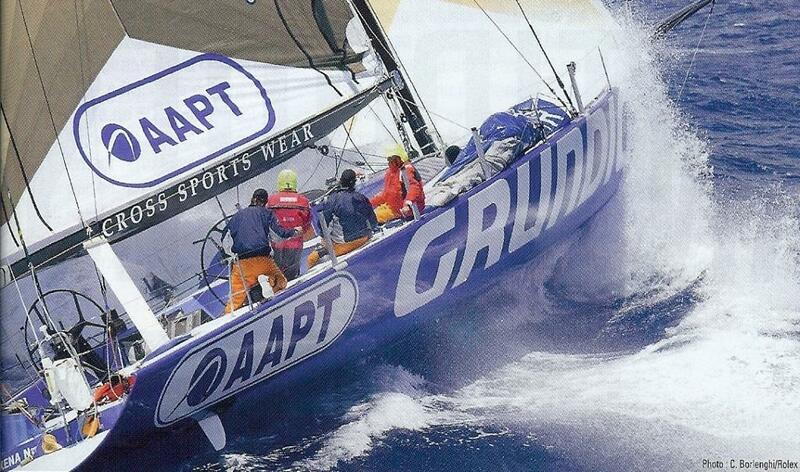 2002 2 janvier, Pittwater to Coffs Harbour Race: ?e/?? Des essais pour remplacer le spi par un cerf volant ont été effectués. 2005 Skandia Geelong Week: 1er en réél, ligne d'honneur! 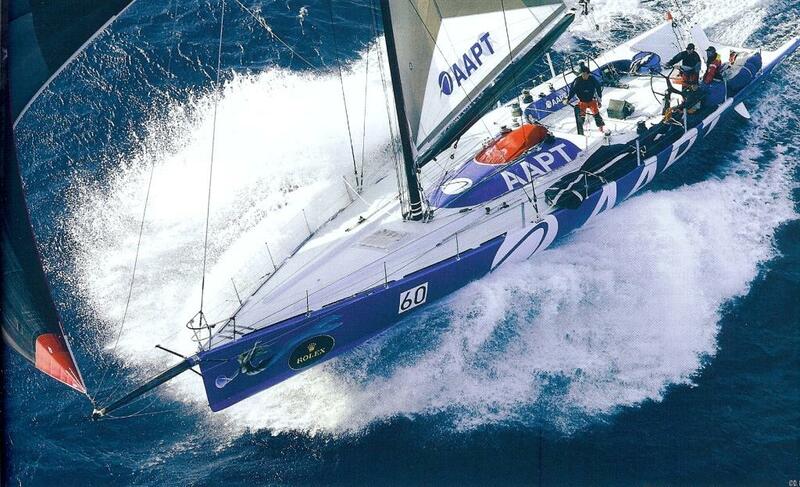 2007 Janvier: 20m Open 66 AAPT, Matériau de la coque: Composite, Prix actuel: A$ 550,000 (EUR 327,810), Situé Sydney, Australie. 1997, ULTIMATE OPEN 66. 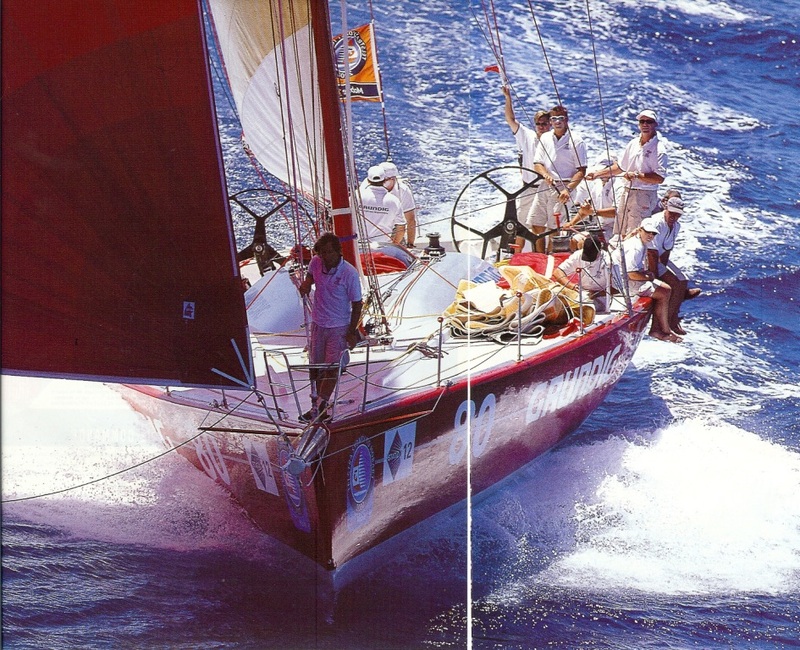 Boatyard owner Sean Langman used his extensive skiff-sailing experience and the resources of his yard to develop AAPT into what must be the fastest boat of its type and size in the world. His continual refinements have also made her easier to sail by fewer crew. 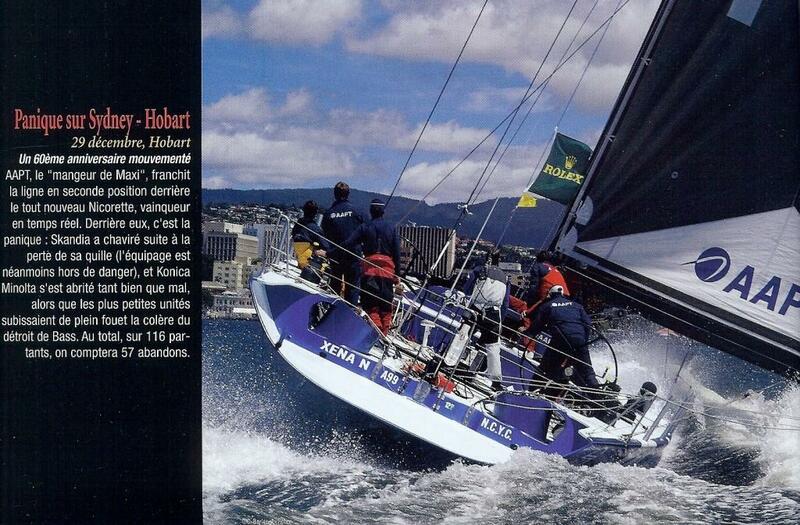 With only eight aboard, she was second to finish behind the maxi Nicorette in the 2004 Rolex Sydney-Hobart race. 2010 17 mai, Melbourne to Vanuatu - Legs Eleven - Guess who is going with Gusto? Bingo! It's official. The new Gusto (the old Xena, Grundig, AAPT, Sean Langman's much loved Skiff on Steriods), which is an MBD designed Open 66 (there we go with 'pick up sticks'), is the 11th entrant in the 2010 M2V. Now she certainly does have the legs to skip along and go chase the record, as set by the late Andrew Short, should the weather patterns allow it. DNS.